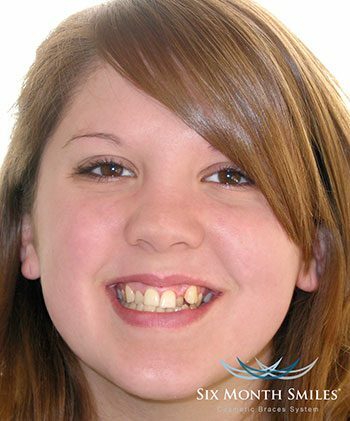 Have you put off orthodontic care because, as an adult, you’re unwilling to endure years of wearing bulky, unattractive metal braces? If so, it's time to rethink your decision. Today, there are two effective options for patients who want great results in less time and with greater discretion: Six Month Smiles and Invisalign. These alternatives to traditional braces can help you achieve great results without drawing attention to your treatment. 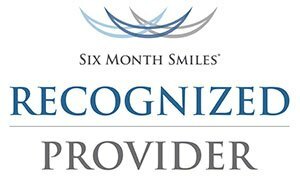 The Six Month Smiles orthodontic system uses clear braces to gently and discreetly move teeth into their ideal position. And best of all, treatment really can be completed in just a matter of months. 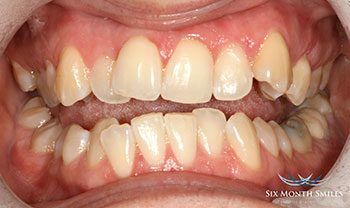 How does Six Month Smiles achieve this? 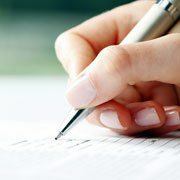 By applying low but continuous pressure to teeth. And with the clear brackets and tooth-colored wires you’ll wear, you can feel certain that the treatment process will be more discreet than treatment with traditional braces. Do you need a straighter smile in time for a major event, like a wedding, a family reunion, or a vacation? Let Dr. McIntosh talk to you about what's possible with Six Month Smiles. Invisalign is a special cosmetic system that uses a series of clear trays instead of brackets and wires to move teeth into their ideal position. Besides being nearly invisible, your trays are also removable. That means you can still enjoy your favorite foods, and you can brush and floss just as thoroughly as you normally would. If you’re considering braces, let Dr. McIntosh assess your needs and talk to you about Invisalign. 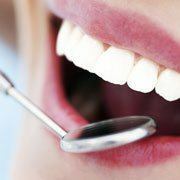 We also offer Invisalign Teen for younger patients in need of help. This system offers all of the benefits of Invisalign to adolescents seeking a straighter, more balanced smile without conspicuous metal braces. Continue playing your favorite sports and participating in band without worries about injury due to metal brackets and wires. Your custom-made aligners even feature a unique Blue Dot Wear Indicator, making it easy for busy teens to keep track of when it’s time to change to the next set of aligners. Following orthodontic treatment, a retainer will help you preserve your results for a lifetime. Our Keller office uses clear Essix retainers as a supplement to your orthodontic treatment. Simply wear your retainer as directed to keep your healthy smile looking its best. 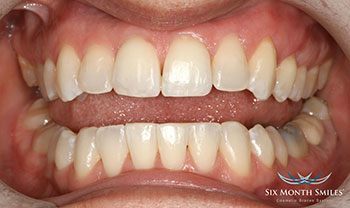 For more information on Essix retainers and their other products, call our office for a consultation. Malocclusion, or the misalignment of teeth, is one of the most common oral health issues affecting patients. If left untreated, it can harm a patient’s speech, chewing ability, and self-confidence. If you have lived your whole life with crooked teeth, let Dr. McIntosh talk to you about the benefits of orthodontic care. 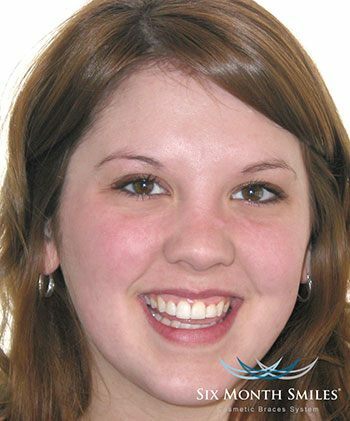 As a Six Month Smiles patient herself, she can tell you exactly what the treatment process is like, and you can see firsthand the beautiful results she achieved. Your brand new smile is just a phone call away. If you want to learn more about orthodontic care with Six Month Smiles, Invisalign or Essix, give us a call to reserve your consultation appointment with Dr. McIntosh. We are proud to offer comprehensive general, cosmetic, and restorative services to patients in Keller and all surrounding communities.